The State Government has negotiated the current Origin Energy discount offer to be raised to 20 per cent, up from 18 percent, benefiting 171,000 South Australians on low incomes. 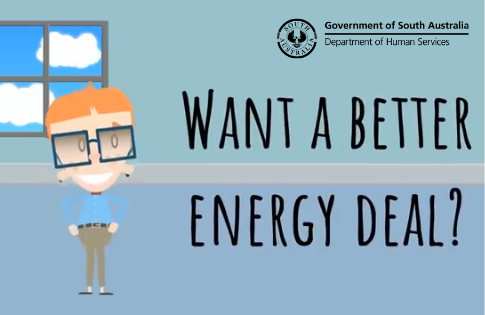 The SA Concessions Energy Discount Offer (SACEDO), which includes a range of further benefits, is available to all households who receive the South Australian Energy Concession. Eligible South Australians could save up to $585 per year on their energy bills. The increased discount came into effect on 15 April 2019. The offer also applies to both electricity usage and supply charges. Further benefits of the offer include flexible payment options, no late payment penalties, credit card processing fees or exit fees. More than 50,000 households have already taken up the SACEDO and stand to benefit from the increase automatically. New customers will need to contact Origin on 1300 791 465 to transfer their energy account to Origin and take up the discount offer. Eligible households include those who hold or receive certain concession cards or Centrelink payments. This could include some pensioners, veterans, young people and parents on low incomes. For more information, call ConcessionsSA on 1800 307 758 or visit www.sa.gov.au/concessions.